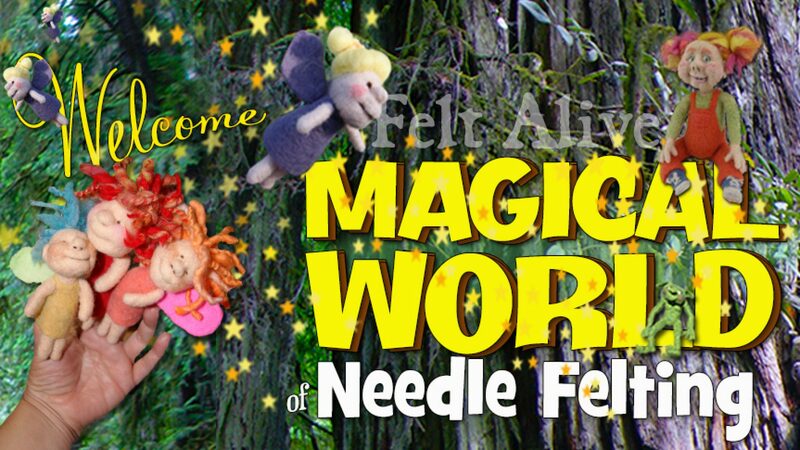 I always say I could felt the world with my yellow felting needles! This is a fine gauge needle with a triangle blade shape (three blade edges) that I find does a great job for all-purpose needle felting. It works great for flat needle felting and for sculptural needle felting. I use it as my main sculpting needle when creating my Felt Alive dolls. It is sharp and glides through the fiber with ease while felting up my project fast and smooth.